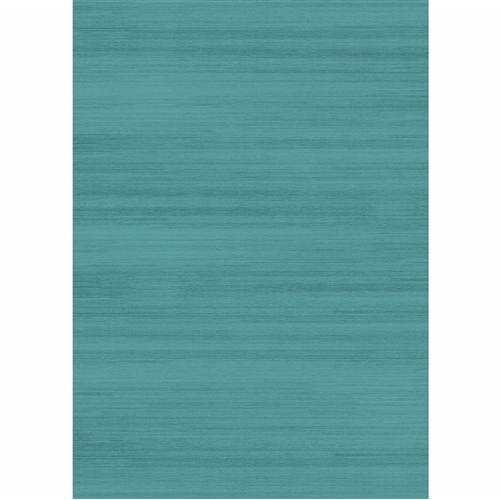 The Ruggable 158661 Solid Textured Ocean Blue 5' x 7' area rug is a 2 piece decorative rug and removable cushioned non-slip Rug Pad in one. This innovative rug technology makes it possible for small and large area rugs to be washed as easily and frequently as bedding, leaving your RV, home or boat looking, smelling and feeling clean. Cling Effect technology on the underside of the rug, allows for easy removal of rug pad. To Clean - simply remove your Ruggable Cover from Rug Pad. Machine Wash the Ruggable Cover (Cold) and Dry (Medium Heat) in any conventional washer/dryer; Spot clean Rug Pad as needed. 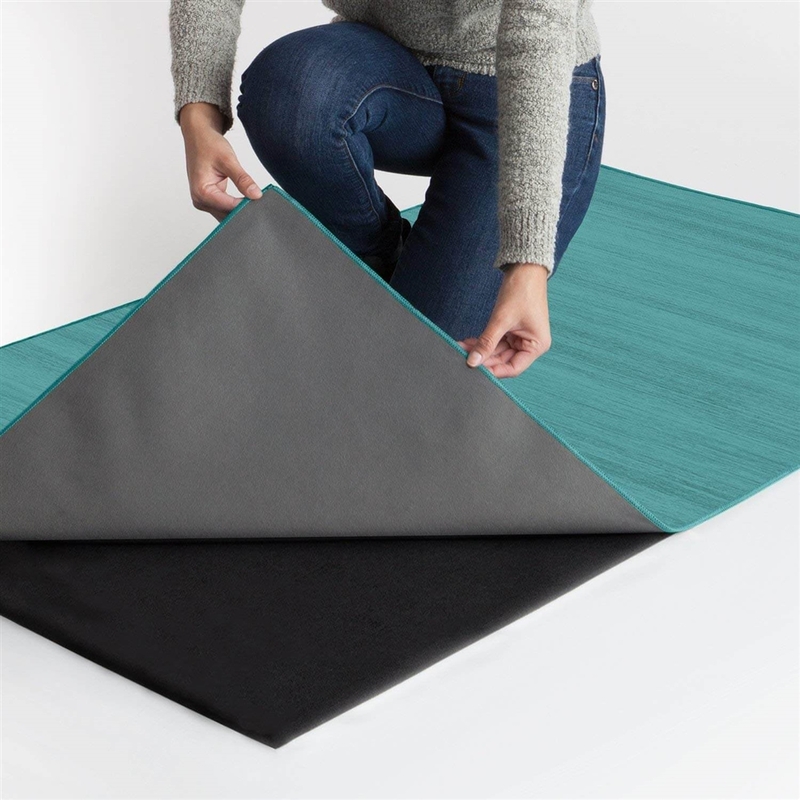 Reuse the Ruggable Cover by reapplying to Rug Pad; the Patented Cling Effect technology on the underside of the Cover attaches to the Rug Pad (similar to Velcro) and never loses its grip. 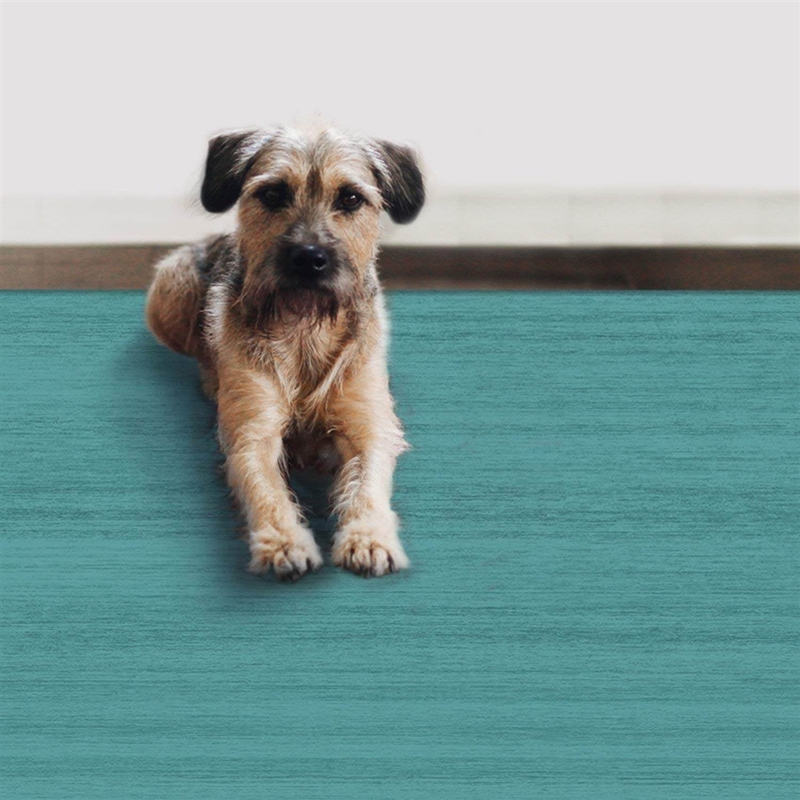 Ruggable is a pet-friendly product. You can easily clean both the cover and the pad and rinse away stains and odors - including all the hair, dirt, slobber and scooting! Both the rug cover and pad are machine washable and once taken apart can be put into a home washing machine. Since Ruggable is 100% waterproof, stain resistant and machine washable, there is no worry of pet (and non-pet) related accidents. 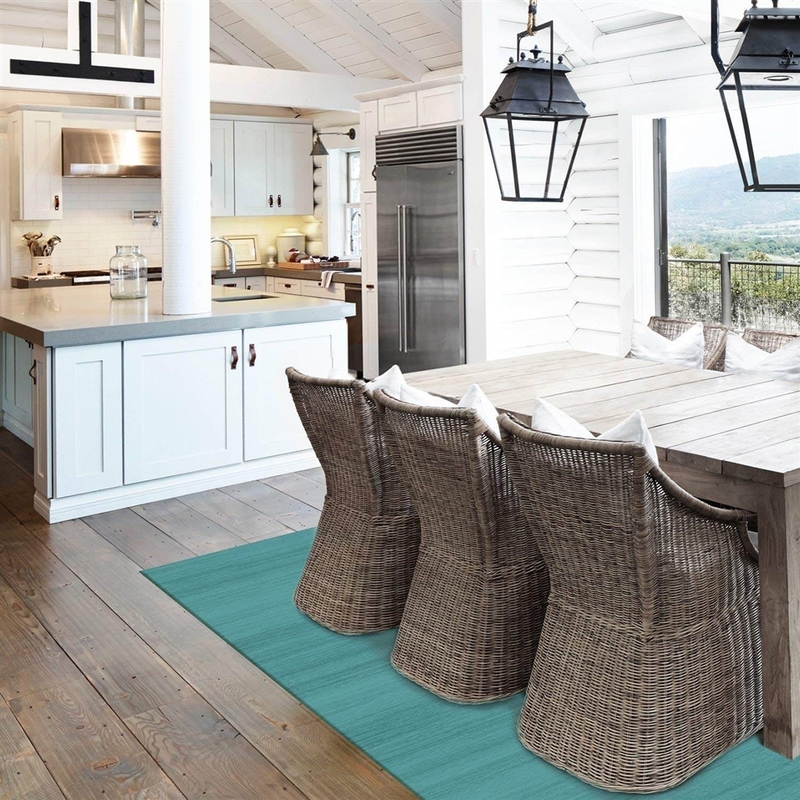 The 2 piece rug system clings together using our Cling Effect Technology™ (similar to Hook & Loop) on the underside of the cover makes it cling to the Rug Pad and allows the cover to stay in place, be removed and reapplied without losing its grip. 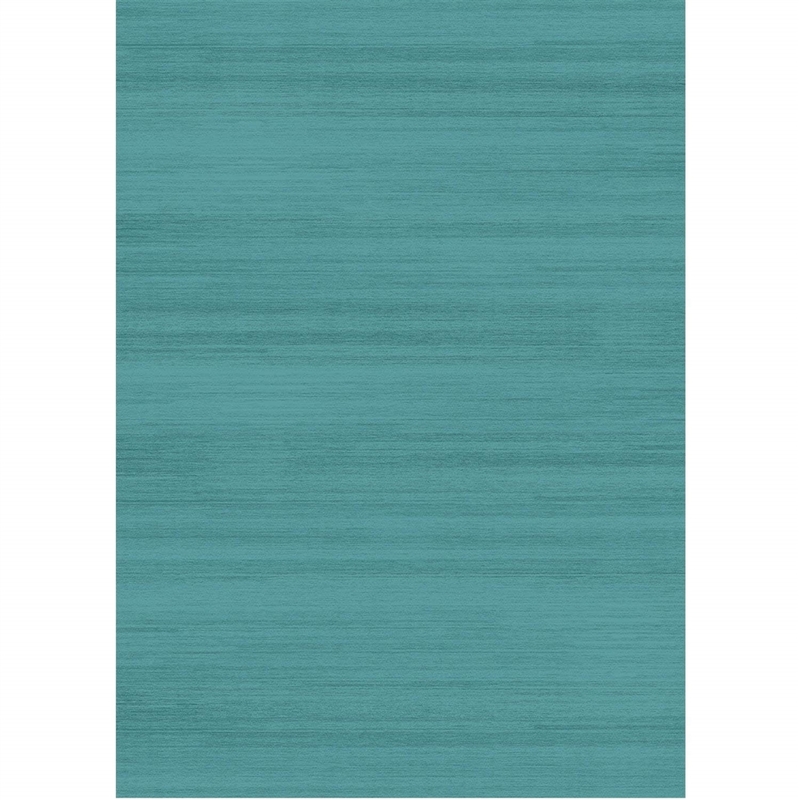 The Rug Cover is made up of 3 layers: the top surface is 100% woven polyester chenille, the internal waterproof barrier is 100% polyurethane and the bottom surface of the cover is 100% polyester knit. A nontoxic glue is used to bond the top and bottom layer of the fabric together. The glue is made from polyester and is a wearable grade. It's the same kind of glue used for bonding fabric in apparel fabrics. 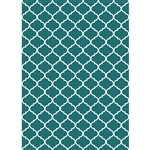 The Rug Pad made is made of polyester (95% recycled fiber). The Cling Effect™ texture is created by heating the surface (think Crème Brûlée dessert). The non-slip backing is made of Thermoplastic Resin, (TPR) a latex-free synthetic material that is commonly used in yoga mats. 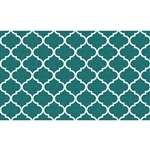 The polyester rug cover is naturally stain resistant and does not have any finishes or treatments added to the material. It is recommended that after an oil-based spill occurs the cover be immediately washed. If not attended to immediately, oil-based stains may become permanent. For best washing results, wash the Rug Cover immediately after the stain/dirt incident. Remove any excess stain/dirt before washing. Stains may become permanent if the Rug Cover remains unwashed for a prolonged period of time. For all Rug Covers, it is recommended that a mild non-bleach detergent is used (no bleach) and avoid fabric softeners. The Rug Pad isn't machine washable, but it can be spot treated with a household disinfectant that does not contain bleach. To thoroughly clean, saturate the Rug Pad in warm soapy water, rinse with clean water, and hang to dry. Vacuuming on a low suction setting is recommended.